You always wanted to drive a 100% electric, emisions free car. This is your chance to get to discover Gran Canaria in a different way! 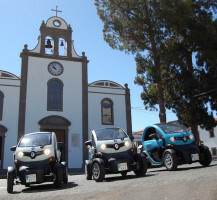 Your Eco Emotion Adventure Tour takes you to the heart of the island's fantastic mountain world with the Renault Twizy! Escape the vibrant tourist areas, past epic vantage points with interesting stops to take pictures and see typical idyllic canarian mountain villages. 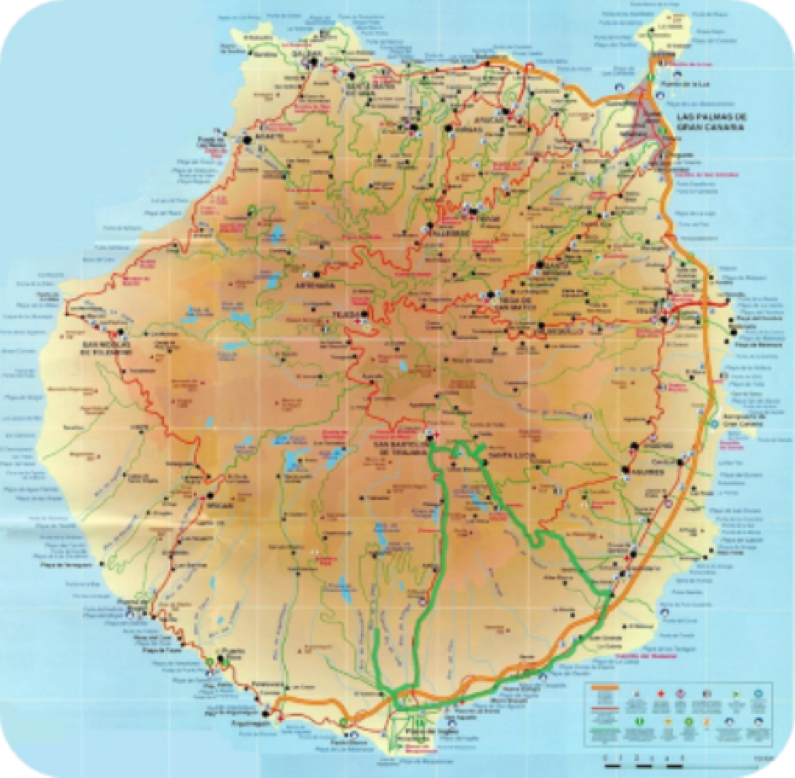 Have incredible driving pleasure and learn interesting insider facts of the area over land and people and pure nature. 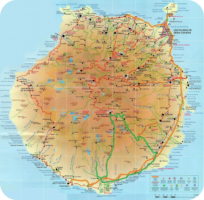 Such as the Guriete viewpoint overlooking the historic Ancite Fort “La Fortaleza”, the quaint Santa Lucia, a donkey farm with its own offspring breed, learn how Olive oil is made, enjoy a rich typical Canarian lunch, discover the impressive old town of San Bartolome de Tirajana, visit to an aloe vera plantation and finally the breathtaking viewpoint "Degollada de La Yegua" overlooking our Gran Canaria “Grand Canyon” and the dunes of Maspalomas. 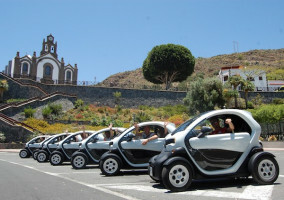 As with all our tours, the Twizy Tour is run by passionate, fun and experienced guides who are not only concerned with your safety but who are eager to share all their local knowledge and are always in the mood for a joke. Our groups are reduced by the number of participants to make your trip more personal and safe for you. 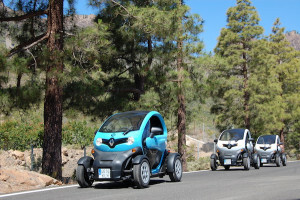 Start with us the electric revolution with a completely innovative and unique excursion. So great, so clean and so different! Children from 4 years Obligatory driving license B1.